PORT McNEILL—Council gave first three readings Monday night to a bylaw that would rescind a 2011 bylaw that established tax due dates and penalties. That doesn’t, however, mean ratepayers are off the hook for timely tax payments in the coming year. Upon final approval of Bylaw 653, 2015, the Town would continue to collect taxes and charge late penalties, but it would do so under the General Tax Collection Scheme defined under the Community Charter. The change comes as the result of a bylaw review beginning last May, when Town officials developed concerns about how the existing Bylaw 633, 2011, was written. Rodin said Council also had the option to re-write a tax bylaw, but it would result in the creation of a new system with “quite a bit of administration burden” involved, and an increase chance of errors resulting from a manual accounting system. Council unanimously gave first, second and third readings to the new bylaw, which could be given final approval as soon as its next meeting, Jan. 19. Council also gave first, second and third readings to Revenue Anticipation Bylaw 656, 2015, which would allow the Town to borrow up to $600,000 on a temporary basis to cover operating expenses in anticipation of tax receipts in July. Any borrowing would be on a line of credit through Canadian Imperial Bank of Commerce and would be paid back as tax revenue becomes available. The good news, Rodin noted, is that the Town will not need to request an additional $1.3 million line of credit from the Municipal Finance Authority, which it has drawn from for the past several years while undertaking an overhaul of its water line system and other construction projects. Council approved a recommendation from Public Works foreman Glen Boyd to replace several aging pilings at the municipal harbour while taking advantage of the anticipated availability of a pile-driver in February. The need to replace of up to 11 pilings and replace flotation tanks on the aging main dock was identified in a report commissioned by Steve Lacasse of BCL Biotechnologies, Ltd., which otherwise found the balance of the harbour infrastructure to be in good condition. 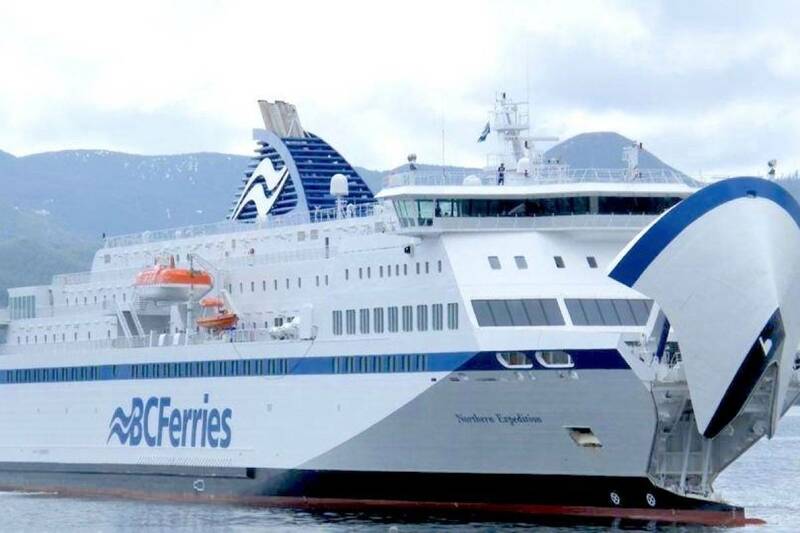 In his report, Boyd noted he spoke to Joe McAllister of Tuff Marine Services, who is currently performing dock repairs in Port Hardy and who will move on to Sointula Harbour in March to drive piles there. In between, there is an opportunity for the Town to utilize Tuff Marine’s piledriver, which can often take up to a year to schedule. “Fisheries (and Oceans Canada) has some funding available, so I think we need to look at that, for harbour improvements,” Coun. Graham MacDonald said. The anticipated cost of replacing the 11 piles would range from $17,000 to $20,850, depending if piles currently in the Town’s inventory prove a proper fit. Council agreed to approve the amount for the work in February, and approved a second motion to seek an estimate on the cost of replacing the floats on the shoreward side of the main dock, which is 35 to 40 years old and in the worst condition of all the harbour’s floats. “Hey, we get along, Graham,” Ackland replied to the first-term councillor. Council unanimously approved the appointment of four new members to Port McNeill’s Volunteer Fire Department on the recommendation of Fire Chief Chris Walker. Tyson Mackay, Valerie Michaud, Greg Muirhead and Emily Outram are the newest member of the force, which saw a solid influx of members last year before seeing numbers slump slightly as the year ended. Jay Dixon, a first-term councillor elected in November, asked whether a formal letter of thanks and/or recognition had been sent to the new members. “Looking at some of the names here, they’re individuals who could benefit from that recognition in their portfolios,” Dixon said. Administrator Sue Harvey confirmed the Town already forwards such letters.